Geneva, Switzerland, 2018-Apr-06 — /Travel PR News/ — The International Air Transport Association (IATA) released demand growth results for global air freight markets for February 2018 showing a 6.8% increase in demand measured in freight tonne kilometers (FTKs) compared to the same period last year. Adjusting for the potential Lunar New Year distortions by combining growth in January 2018 and February 2018, demand increased by 7.7%. This was the strongest start to a year since 2015. Freight capacity, measured in available freight tonne kilometers (AFTKs), grew by 5.6% year-on-year in February 2018. Demand growth outstripped capacity growth for the 19th month in a row which is positive for airline yields and the industry’s financial performance. The continued growth in air cargo demand is consistent with ongoing robust global trade flows. There are, however, signs that the best of the upturn for air freight has passed. 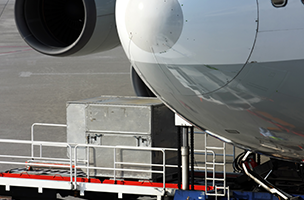 Demand drivers for air cargo are moving away from the highly supportive levels seen last year. In recent months the Purchasing Managers Index (PMI) for manufacturing and export orders has softened in a number of key exporting nations including Germany, China and the US. And the seasonally adjusted demand for air cargo which rose at a double-digit annualized rate for much of 2017 is now trending at 3%. “Demand for air cargo continues to be strong with 6.8% growth in February. The positive outlook for the rest of 2018, however, faces some potentially strong headwinds, including escalation of protectionist measures into a full-blown trade war. Prosperity grows when borders are open to people and to trade, and we are all held back when they are not,” said Alexandre de Juniac, IATA’s Director General and CEO. Middle Eastern carriers’ year-on-year freight volumes increased 7.4% in February 2018 and capacity increased 7.6%. Seasonally adjusted freight volumes continue to trend upwards however they have slowed to an annualized rate of 4% since late 2017. This largely reflects the weak conditions on the routes to and from Europe which have seen demand trend downwards at a double-digit rate over the past five months. Total freight traffic market shares by region of carriers in terms of FTK are: Asia-Pacific 36.9%, Europe 24.2%, North America 20.6%, Middle East 13.7%, Latin America 2.7%, Africa 1.9%. This entry was posted in Airlines, Airports, Transportation, Travel, Travel Services, Travelers and tagged AFTKs, air cargo, air freight, FTKs. Bookmark the permalink.